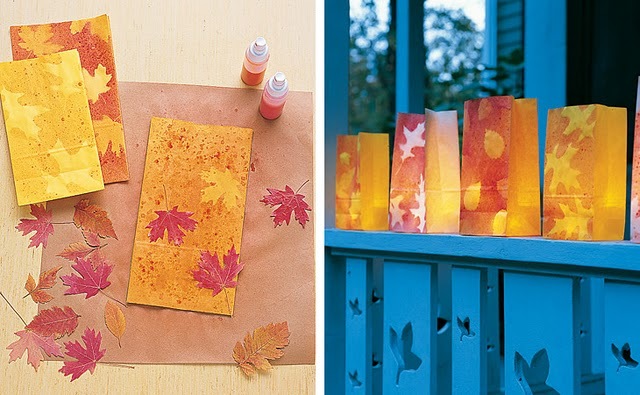 I am on the hunt for fall crafty ideas for kiddos. Both of my smaller kiddos are in mothers day out and they are always looking for new fun crafty ideas so here is what I have found so far. This is so easy and would be really cute framed don't ya think? I found this at katie Brown Blog, but this art project is pretty self explanatory. 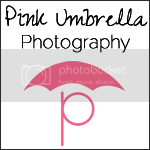 This is something that can also be put in a picture frame and hung on the wall in your kiddos room or anywhere really. 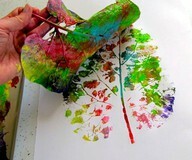 This is also a simple crafty idea that your kids will just love. Check out My Blessed Life for the help in making this but its also a pretty easy crafty idea. This next idea I just LOVE!! 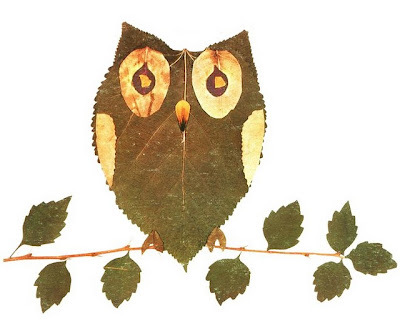 With this project you can make any type of animal from leaves and then hang them to decorate your kiddos rooms. Look below at how cute they look. I found this at Kokoko Kids and she has a very easy tutorial on exactly how you go about doing this project. I think it is so cute and just perfect for fall. 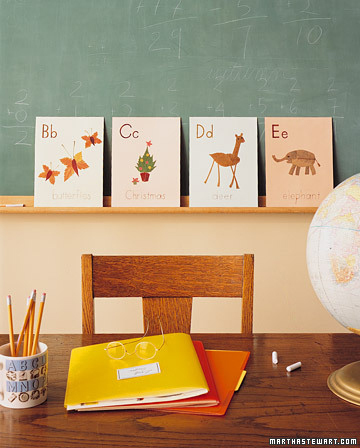 This idea I found over at Martha Stewart and would be a really cute idea for a school fall party. Then they can put all of their goodies in the bag to take home. She has a step-by-step tutorial over there on her site you should check out. I LOVE this idea and it is a really cute craft that could be displayed for years to come. 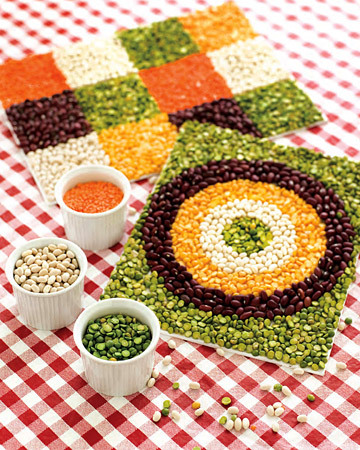 I also found this craft at Martha Stewart and again, she has step by step instruction for this Magical Beans Mosaic project for your kiddos. Check it out!! People are so creative. Love those leafy creations! Michele, I am a new follower. Cute site. Great ideas!! 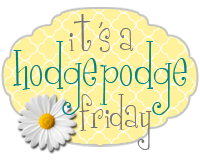 Your blog is soo lovely, and all the pictures are amazing!! I love them! I would love for you to share these at my link up Mom's Library! Those are super cute! 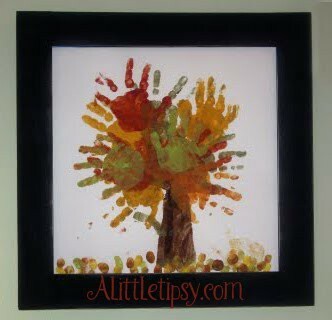 We made pinecone turkeys last year and had so much fun...I'm sure my boys would love making some of these crafts! I love pinecone turkeys. Fall crafts are so fun Judy! !